The starting point of your journey in Myanmar. Yangon has a fascinating array of colonial-era buildings. Walk through a city in ruins in Bagan with around 3000 temples, spanning the Irrawaddy River. Inle lake is a preserved water sanctuary with a floating vegetation and lake dwelling locals. 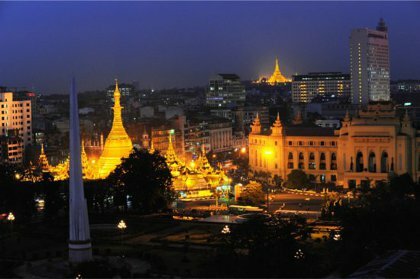 The second largest city in Myanmar, still considered as the cultural center of the country. Kyaikto is famous for its "Golden Rock", a stupa precariously perched atop the rock. 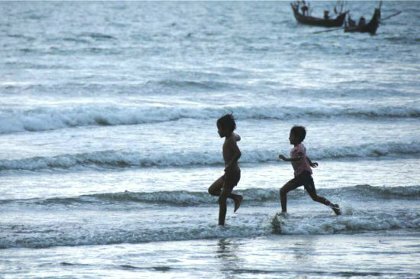 The number one beach destination in Myanmar with its endless soothing white sands. 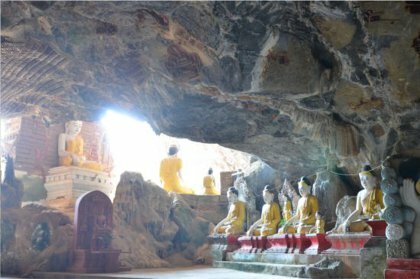 A friendly town with amazing buddhist caves and statues, located close to the Thai border. 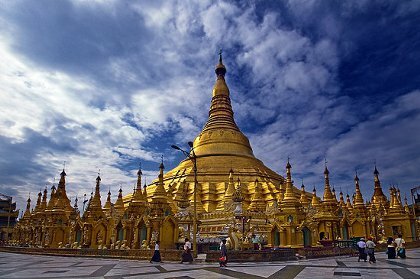 Shwedagon Pagoda is the most sacred and visited Pagoda in Yangon. 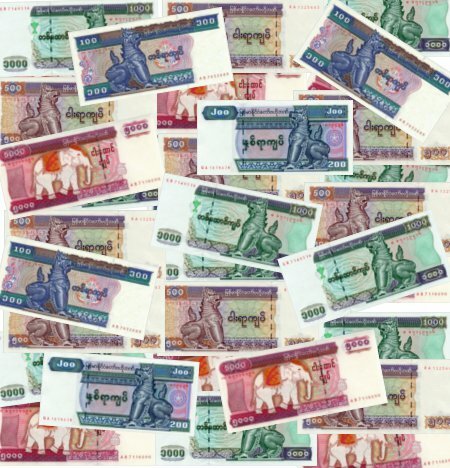 A tourist visa is valid to stay 28 days in Myanmar, counted from the day you arrive in Myanmar (Burma). 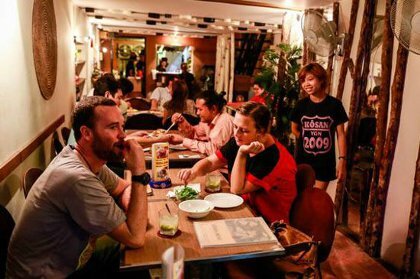 Kosan Café is a hit among backpackers and expats in 19th st.
50th street café, Restaurant & bar is the perfect place for western food. 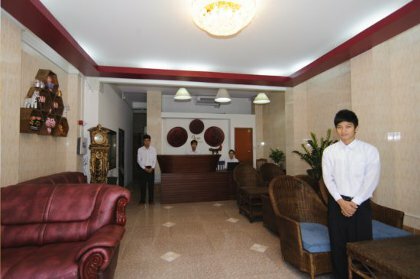 Royal Star Guest House is conveniently located in Yangon. 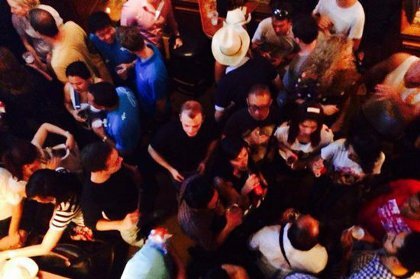 Agga Youth Hotel is a great budget accommodation for travelers. Birma is a free, accurate and indepedent travel website to discover hidden gems in Myanmar (Burma). Our aim is to provide travellers with a reliable source of information to visit this amazing country. We are not linked to any political organisation in Myanmar. 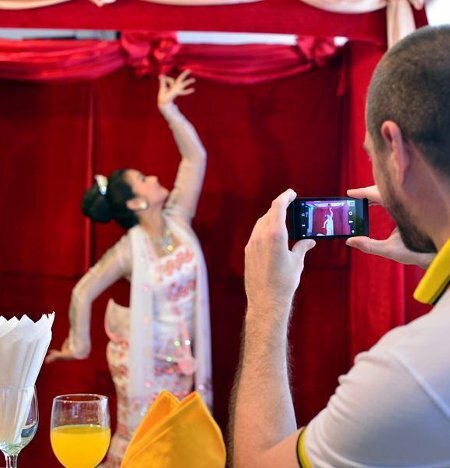 Carry a Myanmar travel guide in your Smartphone! Now, birma is even more responsive then before.